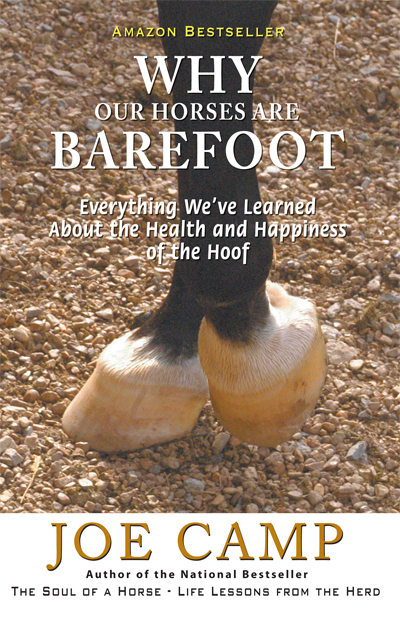 Taking your horse barefoot is more than just pulling his or her shoes. If your horse doesn’t move 8-20 miles a day on the hard dirt and rocks of the American west where the horse evolved for millions of years, your task becomes: to replicate what the horse would be doing for himself if he did live in the wild of the American west. When we lived in the high desert of southern California and our horses were moving at least 8-10 miles a day they were almost taking care of their own feet. Not quite, but almost. They were trimmed every eight weeks and it was generally just a “maintenance” trim. Especially during the winter when most of their protein was going to their winter coats. Mother Nature is growing that hoof to be able to deal with the wear and tear of 8-20 miles a day on that American western terrain, so if the horses are living in middle Tennessee, where we are now (or anywhere other than the American west actually) they need assistance (trimming) to reach that level of wear and tear they would be getting in the American west. Because Mother Nature doesn’t know they’re living in middle Tennessee. She prepared them genetically for the American west. This is why it is imperative that your Barefoot Hoof Specialist fully understand what is called the Wild Horse Model. And know how your horse’s hoof would grow and wear were it in the wild. 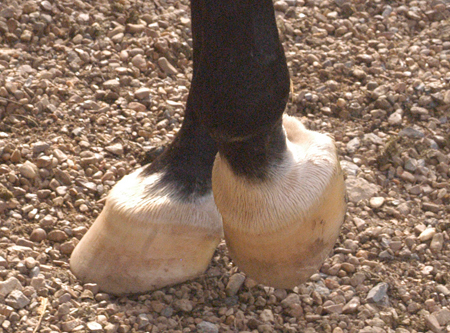 And how to help your horse to grow the hoof he is genetically designed to grow, not the hoof the trimmer wants to see. Run, don’t walk, away from any trimmer who attempts to tell you that he or she has a better method than God or Mother Nature. A “special” method that is superior to anyone else’s, or any metal shoe farrier who also trims barefoot, or anyone who ever says “I recommend a pasture trim”, or anything other than merely replicating what the horse would be doing for itself if it were in the wild of the American west. Every horse is different and must be approached that way. 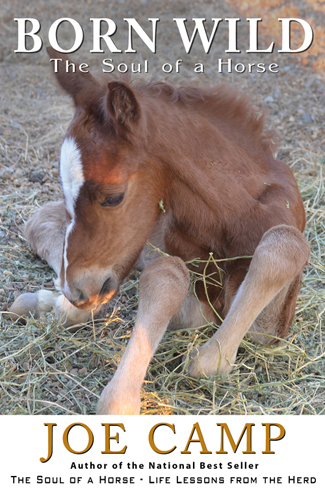 There is no such thing as “do it this way for every horse.” And no trim should ever be to “look good,” but rather to set the horse up to grow the hoof he or she is genetically designed to grow. That, of course, requires a certain amount of study of wild horse hooves and a thorough knowledge of what’s going on inside the horse’s hoof, and understanding which parts affect which other parts, etc. I personally like someone who is trimming hundreds of horses’ hooves every month, horses of every size, shape, and kind. Horses with issues and horses without. Who, chances are, has seen it all and will be much quicker than I would be about picking up little hints of an issue of some kind. Doing this properly also involves a diet and lifestyle that replicates as closely as possible what the horse would be doing if he were in the wild of the American west. Which means free choice grass or grass hay 24/7, no stalls, and no sugar. Or anything that turns to sugar, like oats or corn (See our Diet page). If you can’t quite do all of this immediately is it better to leave shoes on your horse? No, of course not. Metal shoes cause restriction or elimination of blood circulation in the hoof and that alone wreaks all sorts of havoc. Bottom line: You must find a trimmer who knows and understands how to help the horse grow the foot his genetics know how to grow, not someone who wants to “cut” the foot the way he thinks it should look… and it must be someone both you and your horse feel comfortable with. Seriously. Listen to your horse on this. God and Mother Nature have done a terrific job of creating these magnificent creatures and even though most of ours are called domestic horses, their genetics are precisely the same as those horses still living in the wild, and those who lived in the wild thousands of years ago. This is a very important piece of the puzzle. And make no mistake, it is a puzzle, full of things you need to know, not later, but now. Before you start changing lives for the better or worse. 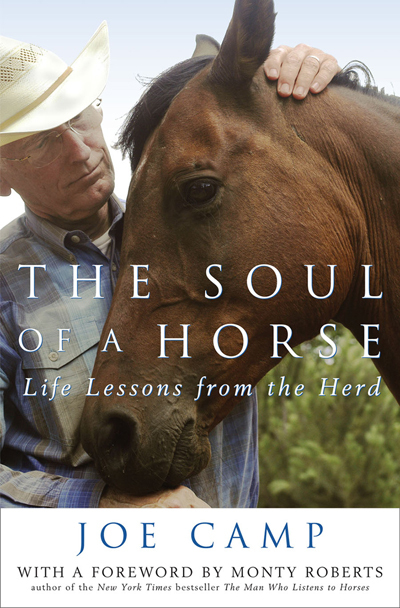 The whole story of our journey (to date) is told in the two books that follow: The Soul of a Horse – Life Lessons from the Herd and its sequel Born Wild – The Soul of a Horse.